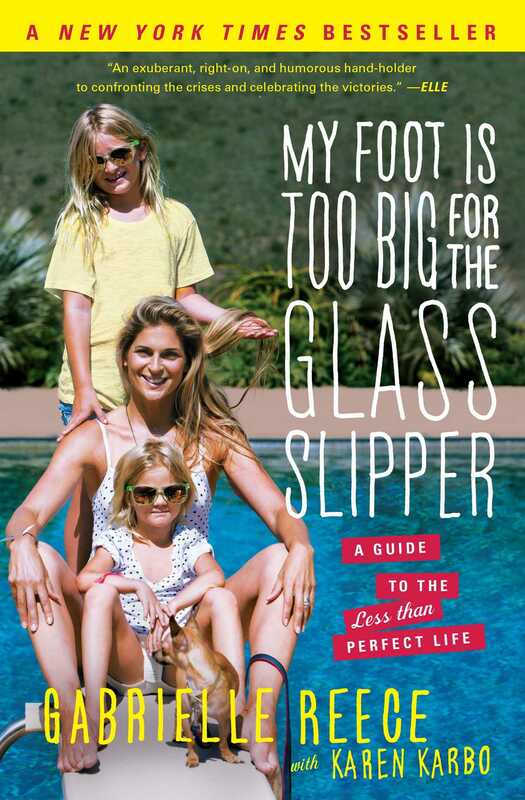 New York Times bestselling fitness expert and beach volleyball pro Gabby Reece uses her own less-than-perfect life to skewer fairy tale notions of perfect motherhood and marriage in this “exuberant, right-on, and humorous hand-holder to confronting the crises and celebrating the victories” (Elle). Gabrielle Reece is a former women’s beach volleyball star, television host, fashion model, fitness expert, and author of Big Girl in the Middle. She was named one of the “20 Most Influential Women in Sports,” by Women’s Sports and Fitness, and one of the top five most beautiful women in the world by Elle magazine. Gabby recently appeared as a trainer on NBC’s The Biggest Loser. She is married to professional surfer Laird Hamilton. They have three daughters. "Gabby has huge feet. If this book will get her to stop asking me to exercise with her, I'm all for it." "An exuberant, right-on, and humorous hand-holder to confronting the crises, celebrating the victories, and—after a separation—achieving the middle ground in her marriage to world-famous big-wave surfer Laird Hamilton." The most beautiful thing about Reece is how real she is; she's in touch with her emotions and is brutally honest about the rocky road that she traveled to get to being happy in her marriage.